Not from The Onion or anything like that. 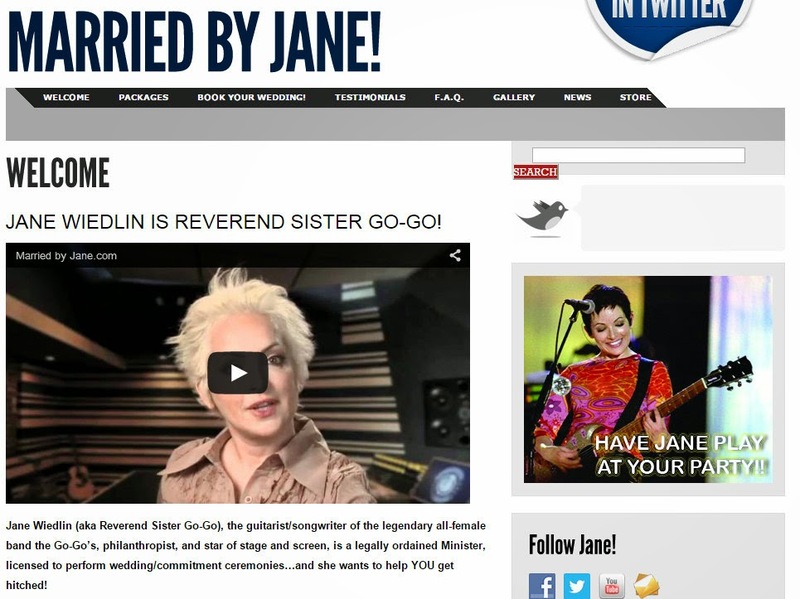 Go-Go's guitarist and songwriter, Jane Wiedlin, is a legally ordained minister who can perform wedding and commitment ceremonies. All the details can be found at MarriedByJane.com. Interesting. The Dark Stuff is an online music magazine and podcast that focuses primarily (though not exclusively) on independent artists, and highlights bands that perform in Omaha.